I have a VM installed OS win 2012 r2 running well I have copied the entire VM files with config file to another Dell server and create a VM when I start it does not it say please insert the CD ….. it gen2 vm. what couls be the reason that it ask for boot..
Then I got 0xC004FD03 error and activation failed. 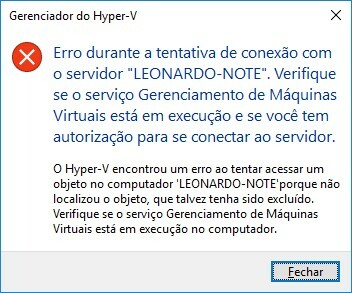 After that I tried to activate using the OEM key of the Hyper V server. Then I got 0xc004c008 error and activation failed. Please advise on this and thanks. I have a 2 nodes Hyperv cluster 2012 and i want to migrate to 2016. All articles i found is migrating 2012 R2 to 2016, what is the supported way to do this migration? Hi, please help me! 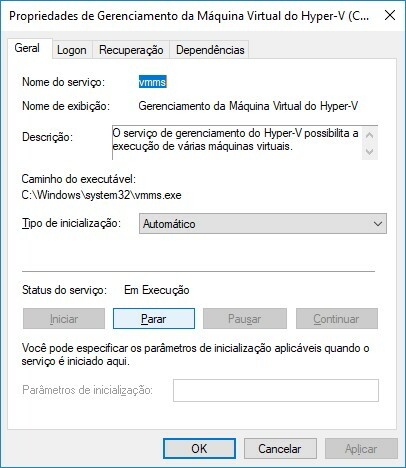 I cant connect to my localhost Hyper-V vmms. I tried to reinstall Hyper-V multiple times, and this command below didnt help me. My screenshots in Portuguese: "Em execução" means Running. How does the checkpoint merge process work? Does anyone have any documentation or some reference blog that explains how it works technically? I mean, it’s not how to do it, but rather, how that process works internally in hyperv. To exclude a large checkpoint, do you need disk space for staging area or free memory? Is it safer to have the VM turned off or on? I have a server with large volumes (500gb) with checkpoint of 150gb differential. What is the recommendation to remove these checkpoints? Do I have server on or off? If I install a Windows Server 2012 R2 std. only with HYPER-V role to a physical server, need to license it or not? if it is not building). At the moment we mostly build Ubuntu 16.04 LTS machines. This has worked fine for over a year, until end of September 2018 / start of October 2018. Since that point in time we cannot run Ubuntu 16.04 in a VM on VM-A anymore. We can configure the VM and start it but then it hangs even before booting the OS. This leads me to conclude that something has changed in Nested Hyper-V for Gen 2 machines and either Ubuntu needs an update or …? 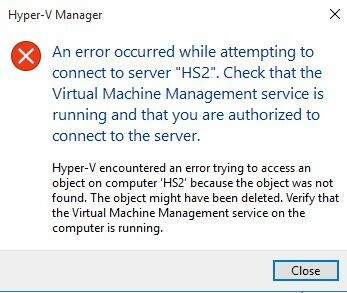 So does anybody know if there have been any changes to Hyper-V / Windows that could have caused this and what can be done about it. The post New KB articles published for the week ending 22nd December, 2018 appeared first on VMware Support Insider.